The best remake of that iconic scene. i’ve always had a problem with the original – it is just toooo eerily symmetrical! look at her feet! 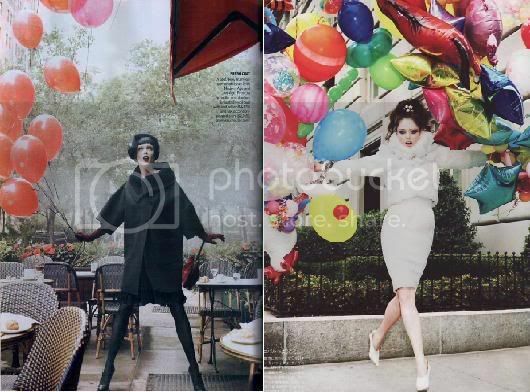 Love the Vogue Nippon editorial as the balloons really being out the white of that dress. 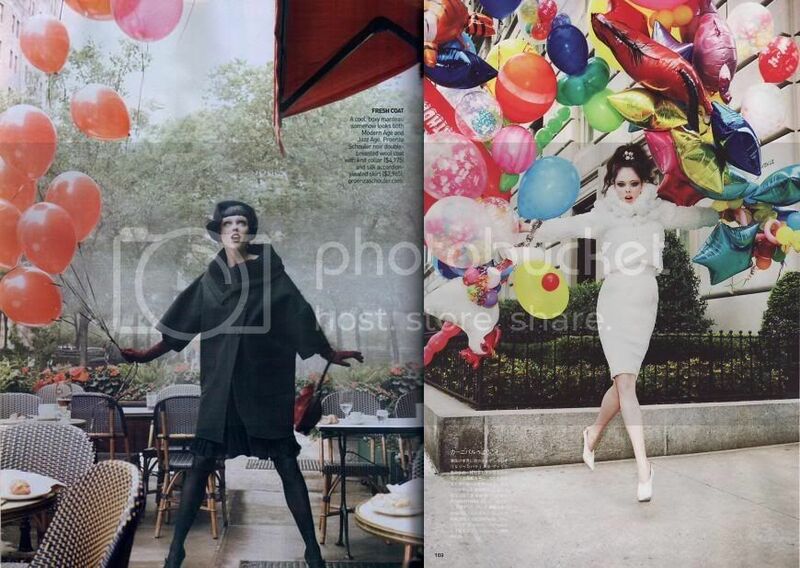 The US Vogue editorial is gorgeous too, very 1960s silhouette and pose. 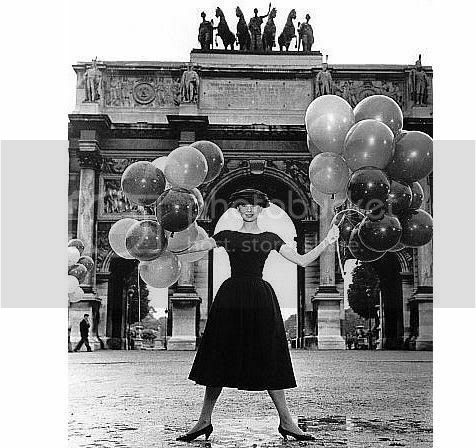 I love baloons!. That picture of Audrey is stunning.